A 2006 graduate of CCM's Electronic Media program, Kenneth Allen has won awards for short films and sports productions. 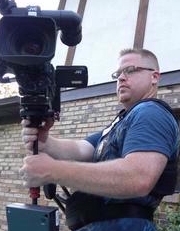 Allen has been the director of photography on multiple corporate and promotional videos. He has worked on six films and is still heavily involved with freelance work. Allen ran camera for collegiate sporting events for ESPN and FOX Sports. He has been a replay operator for FOX Sports and the Big East Digital Network. Allen also own a small photography company, focusing on weddings and senior portraits. He has pushed his screenwriting and golf careers to the side to start a family.